An interactive exhibit of incandescent light bulbs at an art museum. Watching people at this fascinating art exhibit, made for an interesting capture. 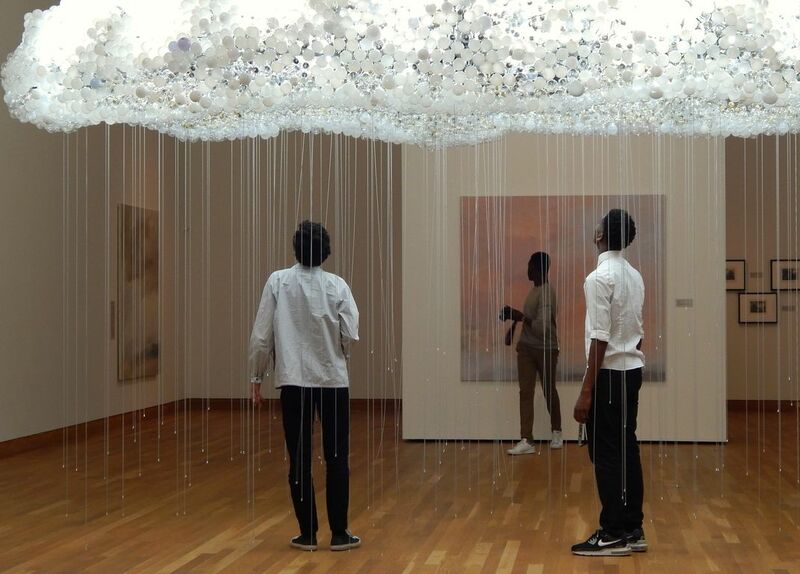 A grouping of light bulbs form a cloud with pull chains hanging down, serving as rain. A timely April exhibit. Date Uploaded: April 7, 2016, 3:47 p.m.